"The fight is still on"
COLUMBIA, Mo 2/16/18 (Interview) -- Boone County Hospital Board candidate Greg Steinhoff has strongly denied allegations he is secretly lobbying Missouri legislators to pass a bill that would clear the way for Boone Hospital Center and Mizzou's University Hospital to merge. 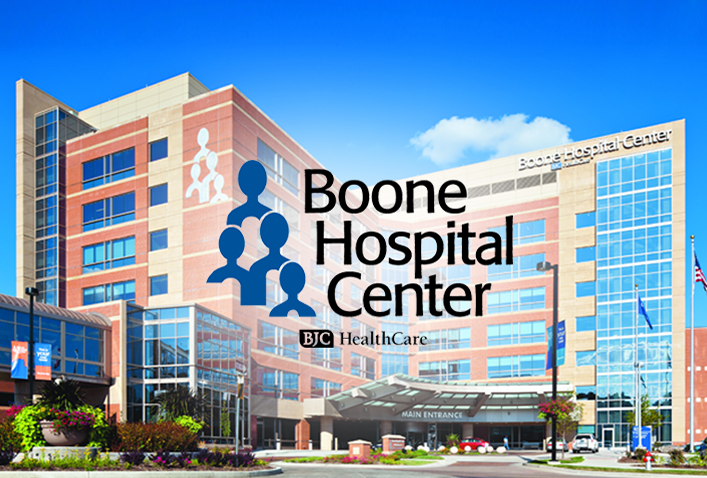 Merger opponents including area healthcare providers worry a single hospital system in Boone County would monopolize healthcare, driving up patient costs and forcing out long-term practitioners. Steinhoff addressed their concerns and others in this multi-part exclusive interview beginning with Part One yesterday. MIKE MARTIN, COLUMBIA HEART BEAT: Periodically, my publication receives tips and insights from sources both credible and not, particularly around election time. I wanted to get your thoughts on the following assertions/questions for a story. We don’t do phone calls to avoid he-said, she-said issues, so if you please, written answers are best (brief or as lengthy as you want). STEINHOFF: Thanks for requesting this information. HEART BEAT: True or False: The two-hospital merger is on the back burner until after the Boone Hospital Board of Trustee election in April. STEINHOFF: What I know is what they’ve said publicly, which is to return to their options and make a determination of which choice places the hospital in the best position to achieve the mission. If elected Trustee, I would be one of five working to make that decision unless it is made before taking office. This is something you should ask the Trustees. HEART BEAT: True or False: you are currently working “behind the scenes” with state legislators and other policy makers to assure the merger occurs, and will vigorously champion it as Trustee after the election, should you win the position. STEINHOFF: All lobbying efforts (behind the scenes are otherwise) stopped. There is no bill being filed and there won’t be a bill filed. So, to say that ‘Greg Steinhoff is working every political angle’ is absolutely not true. If Mr. Smith would of simply picked up the phone and asked I would of been happy to share that with him. [Steinhoff is addressing an email chain he received between roughly thirty area healthcare providers and Peak Sport and Spine co-founder Phillip Smith, whose partner Mark Dempsey is Steinhoff's opponent in the Trustee race. In an email Steinhoff forwarded to the Heart Beat, Smith accused him of "currently working every political angle trying to get someone to sponsor/champion a bill that will allow the University to bypass anti-trust legislation and take over Boone Hospital." STEINHOFF: It appears from the emails they are trying to raise $130,000 to fight a bill that doesn’t exist. The idea that this would be revived and thrown on as an amendment has never been discussed, is not planned and won’t happen. I resent that this is a personally defaming fabrication and that it’s being used to raise money to help pay lobbyist. The email stated they intended to meet with Attorney General Hawley, so I sent my response email to him as well. I have not received a reply or had any conversations with him. HEART BEAT: True or False: Several dozen local healthcare providers strongly opposed to the merger (ostensibly over monopoly concerns) have made their case to you, and you have denied any pro-merger lobbying, behind the scenes or otherwise. STEINHOFF: This is also NOT true. I’ve had conversations with all kinds of healthcare providers, most of which were ones that I’ve sought out. About a third actually favor the idea of a merger, a third are indifferent but are upset with [hospital manager] BJC, and a third oppose the idea of a merger. The only two that were adamantly opposed were my opponent and Phillip Smith. I don’t dis-respect their point of view. I’m a pharmacist that’s owned and operated a healthcare company in mid-Missouri so I can identify with their concerns. As you would expect they have a bias towards how such a decision may affect their business, not necessarily what would be the best way to achieve the mission of BHC. HEART BEAT: Assuming the allegations are not true, is there anything you can recall that might have prompted them? If so, what? STEINHOFF: I won’t speculate. I’m focused on what I can learn to make a good decision, based on the right reasons, with the highest likelihood of delivering a good result. As with the other projects I’ve worked on (Columbia Regional Airport, Welcome Home, ARC, Missouri Partnership), it’s really important to operate with truth. I intend to honor that throughout this campaign. HEART BEAT: Have you formed a campaign committee? I don’t find your name on the MEC site. STEINHOFF: Not yet. Will form one soon.